An Oracle database is composed of files. There are several types of files, and it is important that you as the DBA understand the purpose of each file, as well as what it contains. This module will help you do that. An Oracle database consists of one or more logical storage units called tablespaces, which collectively store all of the database's data. The data of a database is collectively stored in the datafiles that constitute each tablespace of the database. 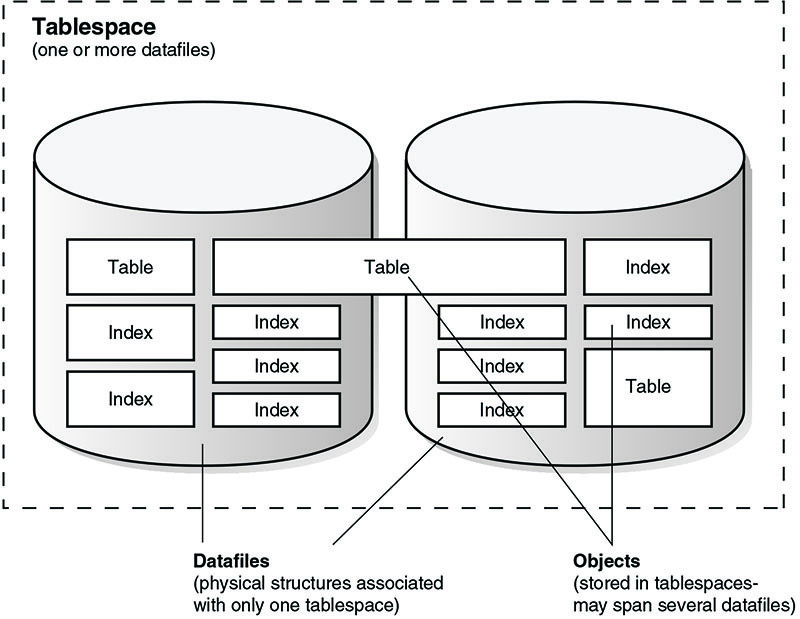 For example, the simplest Oracle database would have one tablespace and one datafile. Another database can have three tablespaces, each consisting of two datafiles (for a total of six datafiles). When ready, go to the next lesson, and begin.